How does that affect the Birmingham Property Market? It might surprise you that it isn’t always the poshest villages around Birmingham or the swankiest Birmingham streets where properties sell and let the quickest. Quite often, it’s the ones that have the best transport links. I mean, there is a reason why one of the most popular property programmes on television is called Location, Location, Location! As an agent at Love Your Postcode in Birmingham, I am frequently confronted with queries about the Birmingham property market, and most days I am asked, “What is the best part of Birmingham and its villages to live in these days?”, chiefly from new-comers. Now the answer is different for each person – a lot depends on the demographics of their family, their age, schooling requirements and interests etc. Nonetheless, one of the principal necessities for most tenants and buyers is ease of access to transport links, including public transport – of which the railways are very important. Official figures recently released state that, in total, 53,677 people jump on a train each and every day from Birmingham New Street Train station. Of those, 31,389 are season ticket holders. That’s a lot of money being spent when a season ticket, standard class, to London is £5,760 a year. The bottom line is that property values in Birmingham would be much lower, by at least 3% to 4%, if it wasn’t for the proximity of the railway stations and the people they serve in the city. 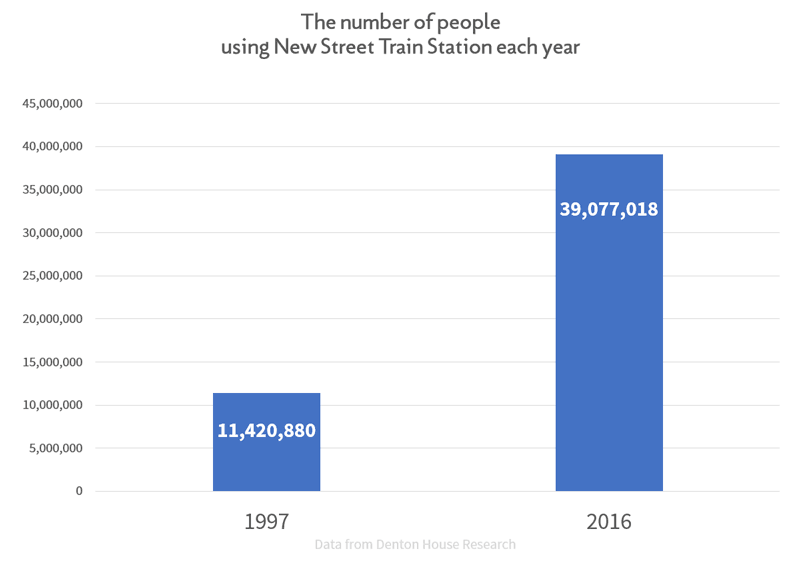 Overall usage of the New Street station at Birmingham has increased over the last 20 years. In 1997, a total of 11,420,880 people went through the barriers or connected with another train at the station in that 12-month period. However, in 2016, that figure had risen to 39,077,018 people using the station (that’s 107,354 people a day). And with phase 1 of HS2 not too distant on the horizon, this number is only going to increase. The juxtaposition of the property and the train station has an important effect on the value and saleability of a Birmingham property. It is also significant for tenants – so if you are a Birmingham buy to let investor looking for a property – the distance to and from the railway station can be extremely significant. Where is the New Street Station located? Birmingham New Street is the largest and busiest of the three main railway stations in the Birmingham City Centre, England. It is a central hub of the British railway system. It is a major destination for Virgin Trains services from London Euston, Glasgow Central and Edinburgh Waverley via the West Coast Main Line, and the national hub of the CrossCountry network – the most extensive in Britain, with long-distance trains serving destinations from Aberdeen to Penzance. It is also a major hub for local and suburban services within the West Midlands, including those on the Cross City Line between Lichfield Trent Valley and Redditch and the Chase Line to Walsall and Rugeley Trent Valley. New Street is the seventh busiest railway station in the UK and the busiest outside London, with 39 million passenger entries and exits between April 2015 and March 2016. It is also the busiest interchange station outside London, with over 5.8 million passengers changing trains at the station annually. Read more on Wikipedia.  For more thoughts on the Birmingham Property market – please visit the Love Your Postcode Birmingham Property Blog. Unsure of what to do with your Birmingham city centre property and want to talk through your situation? Book an appointment with one of our city centre experts. Or call us on 0800 862 0870.